1/2/19 - Join the Scene in 2019! 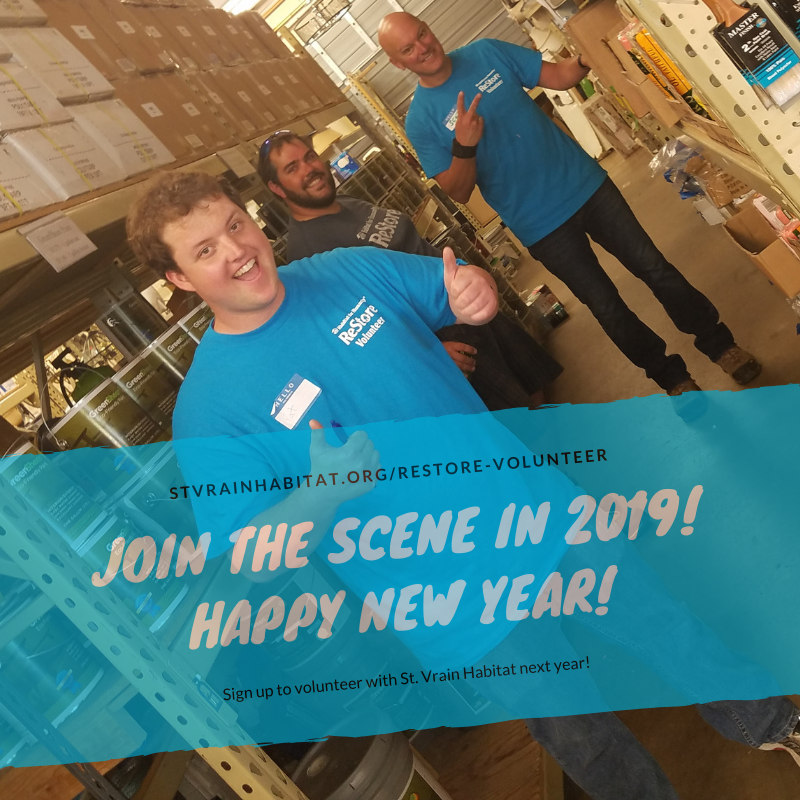 Come volunteer with St. Vrain ReStore! Bring a friend, family member, significant other, a group, your school, your church, or your place of business. The St. Vrain ReStore is perfect for individuals and groups to gain a unique Habitat volunteering experience - retail with a mission! Together, we can build more homes! 1/3/19 - Share a meal with service-oriented, community-minded college students. Interested parties may email Meghan Scurti. 1/2/19 - Join the Scene in 2019! Come volunteer with us on a construction site. No experience necessary. Just a willing heart and hands. We provide the tools and training. Together we can build a better future! 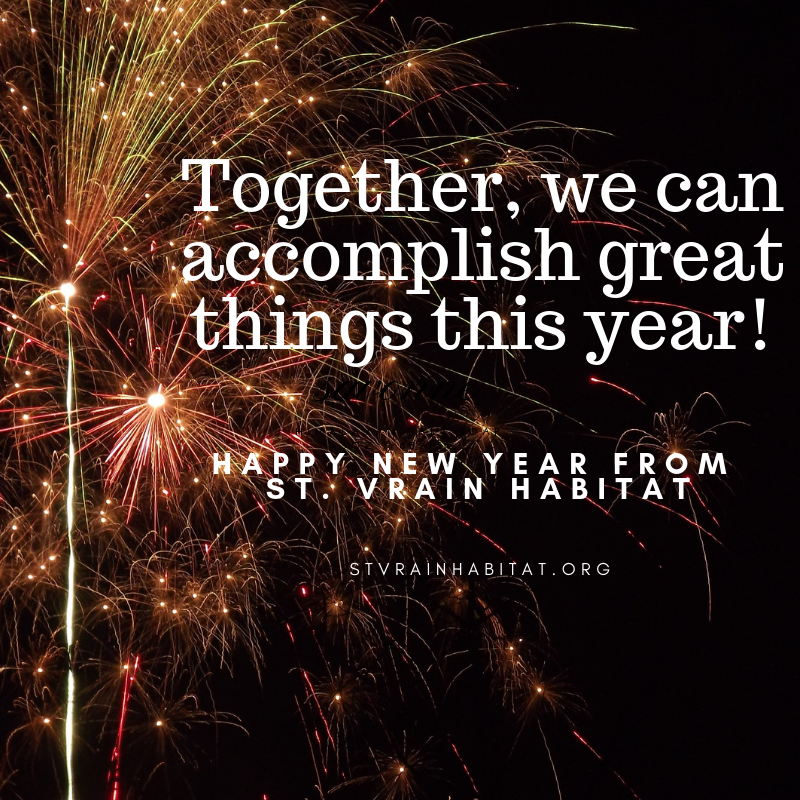 1/1/19 - Happy New Year from St. Vrain Habitat!